For more than 50 years, Sharp Brothers Seed has set the standard for top-quality seed for home, farm and commercial landscape use. 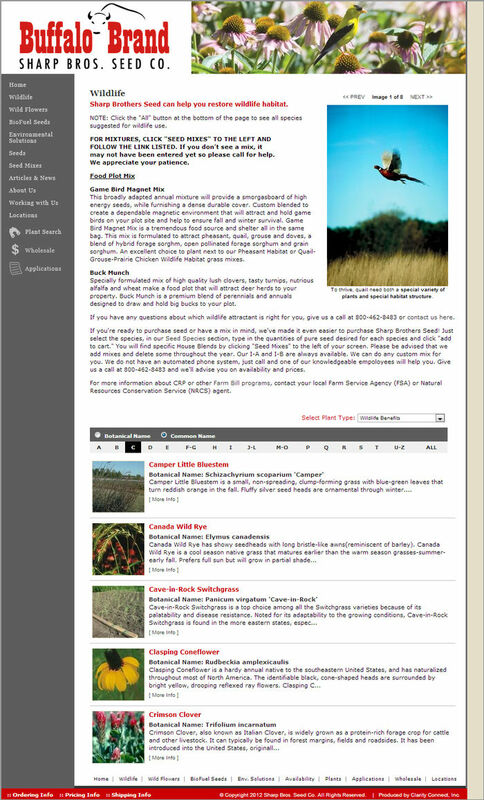 Expanding markets dictated development of new and improved varieties of both warm and cool season grasses, various legumes, forbs and wildflowers. 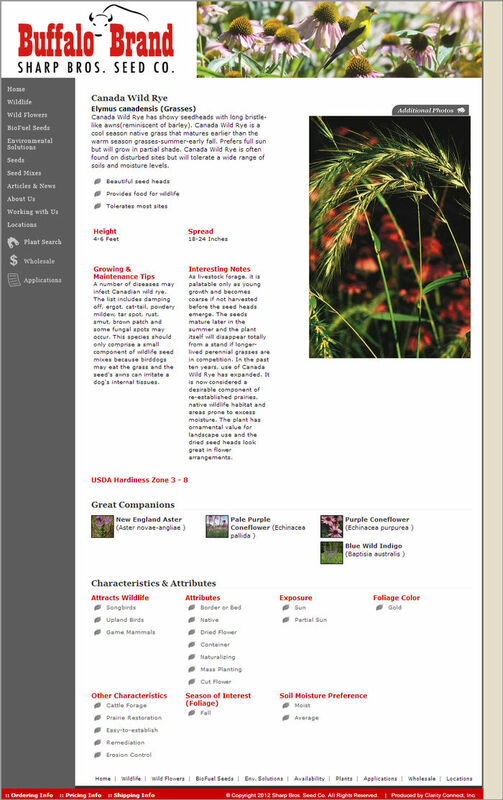 These newer varieties have joined the broad variety of seed species and local-source native seed produced to meet consumers' growing needs throughout the eastern United States, the Great Plains and the inter-mountain areas. 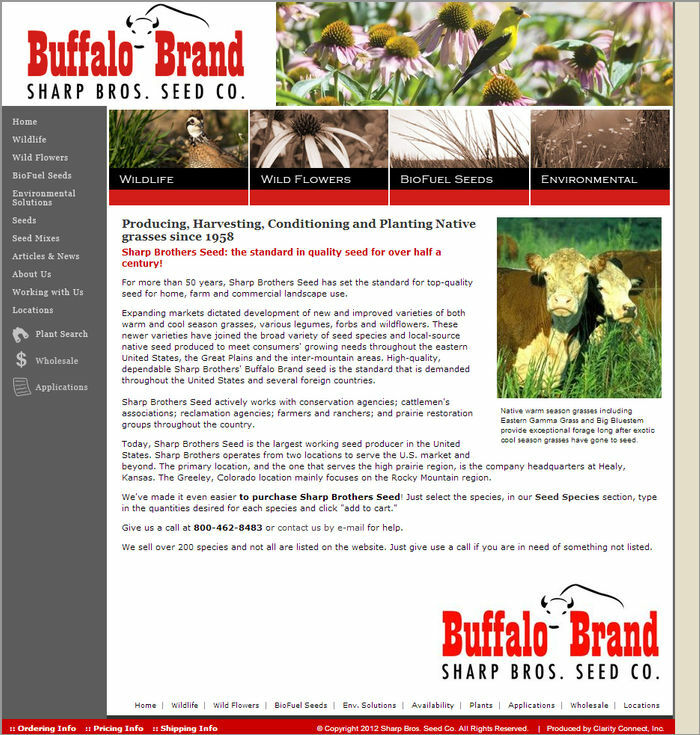 High-quality, dependable Sharp Brothers' Buffalo Brand seed is the standard that is demanded throughout the United States and several foreign countries.